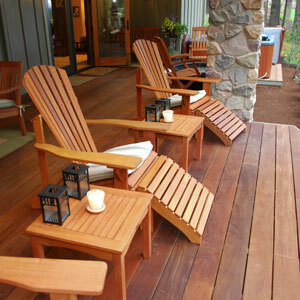 There are more than a million decks built or replaced every year. This number is contributing to a growing amount of decks failing and has the building industry concerned about proper installation. 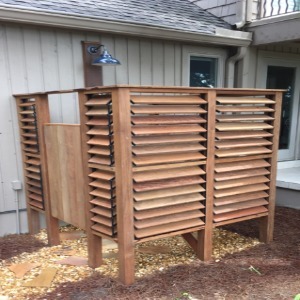 Ensuring that your deck is properly built with the right connectors will create a structure that will last. 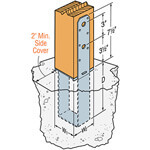 All of our stocked connectors are Z-max or hot dipped galvanized to prevent corrosion when used outdoors. 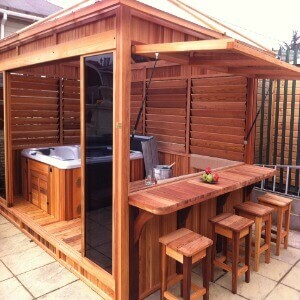 The connection where the deck or patio cover connects to the house is called a ledger. The ledger is the most common point of failure on the structure. 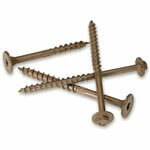 It is critical to attach the ledger to the house with lag screws (SDS) or by using through bolts. Never attach a ledger with nails or screws. 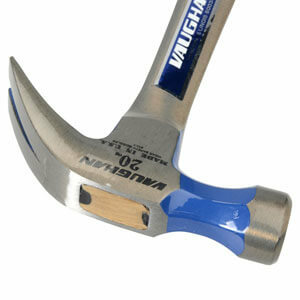 Hangers should be used to attach every joist to the ledger. 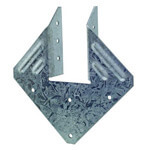 We offer hangers that can accommodate any angle/ joist size to ensure solid connections. 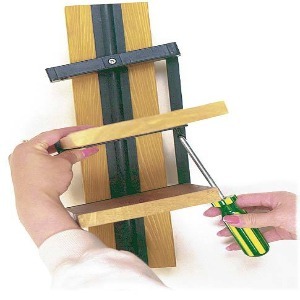 We recommend using Simpson’s SD screws for fastening hangers to the lumber. 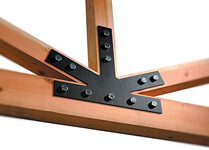 Using a joist to beam connector can minimize movement of the structure and ensure a solid connection vs. simply toe nailing or toe screwing. This is a critical, but often neglected, connection. 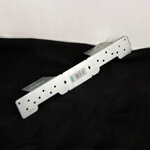 This connector ensures that the main beam(s) on your structure will not fall off the posts holding it up. We offer several different options that can fit any application. Weak or wobbly railings are the most common cause of injury on a poorly built deck. 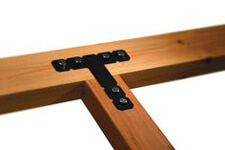 Railings need to be properly attached to the perimeter of a deck but this connector also attaches the railing to the floor joist under the deck. 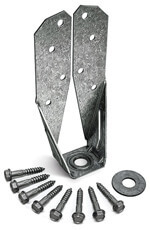 This connector ensures proper attachment of the stair stringers to the deck. Using this connector will ensure stair treads are properly and securely attached to the stair stringer, keeping the tread from wobbling when walked on. 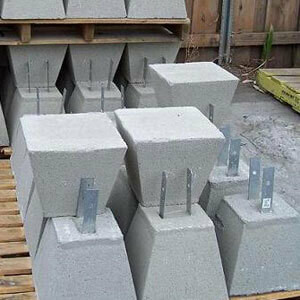 Post bases connect posts to a concrete slab or footing. 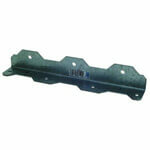 We offer several types of post bases that can fit every application, code requirement, and aesthetics. Connections should not always be hidden but accentuated. Using connectors as a design element is the goal of the Simpson Architectural line. This line feature hardware that in the past would have to be custom made with a custom made price tag attached. 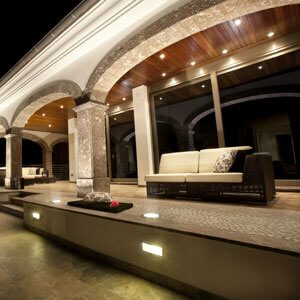 The architectural line will give you that custom look your looking for. 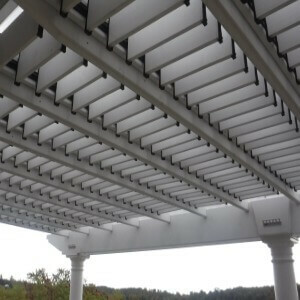 J&W Lumber Stocks OZCO hangers, Connectors and Fasteners as an option for those patio covers or decks were you just want to hardware to stand out. 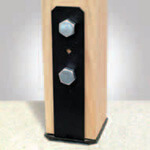 This hardware will add the “beef” look to any project. Approved to work with pressure treated lumber and meets or exceeds building codes. FLEX•fence is made from recycled PVC, is U.V. 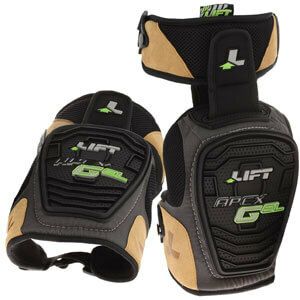 stabilized, and has excellent strength qualities. FLEX•fence is available in 4 foot standard kits or custom lengths to a maximum of 8 feet, and can be easily sized to meet your needs. 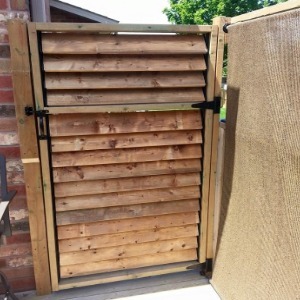 For more ideas go ahead and visit The Official Flex Fence Website.